When you were in your twenties and thirties, you probably didn’t spend much time thinking about what life would be like in your senior years. When you’re young, your health problems are typically limited to acute events and you can’t wait for the day when you can take care of yourself physically and financially. You never imagine that you’ll be in need of home health care someday. Things change as you get older, however. You begin to understand that good health rarely lasts forever. The unavoidable aspects of aging, like reduced mobility, longer recovery time from illnesses, impaired hearing and vision, make it obvious that there may come a time when living independently becomes a challenge, if not an outright health risk. Many seniors go on for far too long by themselves, until finally, an injury or illness lands them in the hospital. In the past few years, seniors facing health complications have caused a marked uptick in Lubbock hospital admissions, putting pressure on hospital staffs as well as seniors’ pocketbooks. Hospitals, and more specifically emergency rooms, are designed to treat acute health problems for a wide variety of patients. These services aren’t necessarily created or executed with senior health care issues in mind. Hospital care is often impersonal, rushed, and expensive for seniors. When the goal is healing and recovery, hospitals are rarely the best option. As reported in a recent issue of Home Health Care News, services that allow seniors to return to their homes as soon as possible are actually the best option, for seniors, their families, and their finances. Senior home care providers are dialed in to the needs and desires of their clients, providing environments and services that go a long way toward helping them remain healthy and independent. 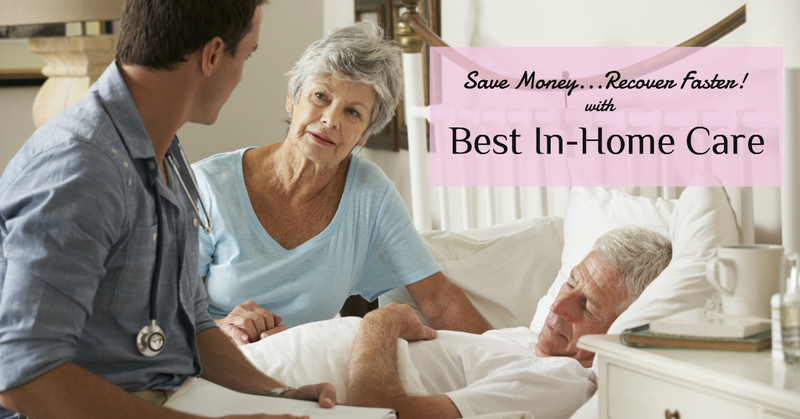 If you’re looking for an alternative to hospitals and nursing homes for your beloved senior, we invite you to consider Best In-Home Care LLC. Based right here in Lubbock, we’ve been helping families gain peace and health through quality home health care services for many years. Whether your senior loved one is recovering from a visit to the hospital, or merely trying to avoid one, the highly-trained home health care professionals at Best In-Home Care would love to be able to provide them with a customized level of care that will brighten their spirits and ensure many years of independent living to come.